Dr. Galouzis graduated with honors from The University of Chicago Pritzker School of Medicine in 1990 and was selected to the Alpha Omega Alpha Honor Society. He completed his residency in general surgery at The University of Chicago in 1995, where he served as chief resident from 1994-1995. After completing his residency, he took a faculty appointment at The University of Chicago, where he served as a Clinical Instructor of Surgery from 1995-2004. In 1995 he also started Indiana Surgical Associates, where he continues to serve as both surgeon and director of the group. Dr. Galouzis is a member of the American College of Surgeons, and is a fellow in the Society of Surgical Oncology. He has authored several journal articles and abstracts, and serves as an active member on numerous committees. He holds a clinical faculty appointment with Indiana University and is active in teaching third year medical students. He is also an adjunct professor of biology at Purdue North Central Campus. Dr. Galouzis practices broadly in general surgery but also specializes in laparoscopic surgery, biliary surgery, and cancer surgery including breast, colorectal, and intraabdominal malignancies. Dr. Frawley attended medical school at the University of Chicago – Pritzker School of Medicine. He went on to residency in general surgery at the University of Chicago Hospitals. He served as administrative chief resident and completed his residency in 1996. Subsequently, he served on the faculty of the University of Chicago Department of Surgery before joining Indiana Surgical Associates in 1998. 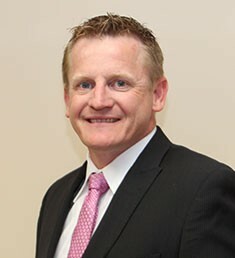 Dr. Frawley is a member in good standing of multiple area hospitals. He also holds a clinical faculty appointment with Indiana University and is active in teaching third year medical students. 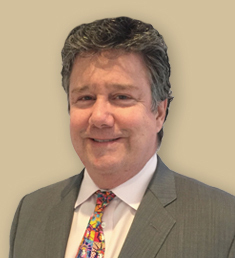 Dr. Frawley practices broadly in general surgery but also specializes in laparoscopic surgery, biliary surgery, and cancer surgery including breast, colorectal, and intraabdominal malignancies. 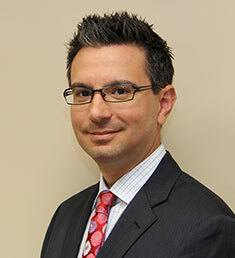 Dr. Siatras graduated from Midwestern University, Chicago College of Osteopathic Medicine in 2006. He completed his residency in general surgery at Midwestern University, St. James Hospitals in 2011, where he served as Chief Resident from 2010-2011. He then went to Indiana University where he completed a fellowship in advanced laparoscopic and bariatric surgery. 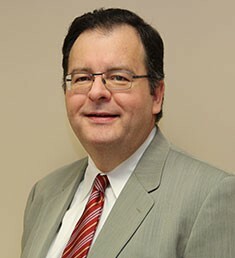 He joined Indiana Surgical Associates in 2012, and also serves as the director of bariatric and metabolic surgery at Methodist Hospitals, Northwest Indiana Center for Bariatric Surgery. Dr Siatras is a member of American College of Osteopathic Surgeons as well as American College of Surgeons. He also maintains memberships in Society of Gastrointestinal and Endoscopic Surgeons and American Society of Metabolic and Bariatric Surgery. He has presented at multiple national meetings and has authored several abstracts. Dr. Siatras practices all aspects of general surgery and specializes in advanced laparoscopic surgery, gastrointestinal surgery, as well as bariatric and anti-reflux surgery. Dr. Patterson comes from a farming family in Northwest Indiana. He graduated from Midwestern University, Chicago College of Osteopathic Medicine in 2003. He was awarded as Surgery Student of the Year and the Award for Academic Achievement, Professional Demeanor and Meritorious Work. He completed his internship and residency in general surgery at Midwestern University, St. James Hospitals in 2008 and served as Chief Resident from 2007-2008. He then completed a fellowship in Cosmetic Surgery in 2009. 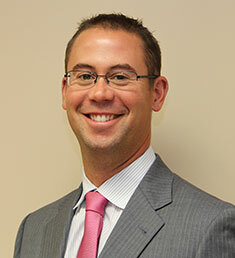 He began practicing in Northwest Indiana in 2009 and ultimately joined Indiana Surgical Associates in June, 2011. Dr. Patterson is a member of American College of Osteopathic Surgeons, American Academy of Cosmetic Surgeons, and American Osteopathic Association. He is interested in all areas of general surgery and also body cosmetic surgical procedures. Dr. Mueller attended Quincy University followed by medical school at the University of Illinois Chicago. After completion, he went on to a general surgery residency at Mount Sinai Medical Center in Chicago. He was selected to be chief resident his final year and was the Dr. Thomas Vargish award recipient for excellence. 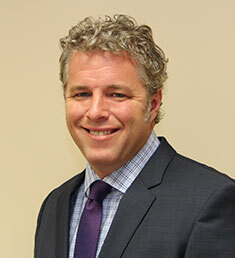 Dr. Mueller moved to Northwest Indiana in 2005 and has been a partner with Indiana Surgical Associates ever since. Dr. Mueller is active within the medical staff at all the hospitals he serves with titles such as Chief of Surgery and Section of Surgery Chairperson as well as serving on numerous committees. He is also involved with the University of Indiana Medical School lecturing and proctoring students during their third year clerkships. Dr. Woo graduated from Midwestern University, Chicago College of Osteopathic Medicine in 2002. He completed his internship and residency in general surgery at Midwestern University, St. James Hospitals in 2007. He was chosen as Intern of the Year in 2003 and served as Chief Resident from 2006-2007. He stayed on as a general and trauma surgeon at St. James after completing residency. He was chosen as Educator of the Year at St. James in 2009. He was the Program Director of the general surgery residency program from 2010-2012. 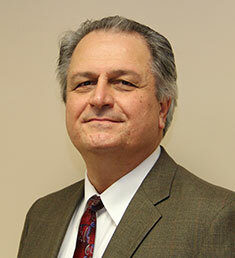 He joined Indiana Surgical Associates in the Fall of 2012. Dr. Woo is a member of American College of Osteopathic Surgeons and American Osteopathic Association. He is interested in all areas of general surgery, and enjoys providing a whole person approach to each patient. After graduating from University of Michigan Medical School, Dr. Shin completed his general surgery residency at the University of Cincinnati Medical Center where he received the Best Teaching Resident Award. Following residency, Dr. Shin joined the St. Elizabeth Physicians Group in Northern Kentucky where he served as a successful general surgeon for 4 years. He then pursued and completed a Bariatric/Advanced Minimally Invasive Surgery fellowship at Geisinger Medical Center in Pennsylvania and subsequently joined Indiana Surgical Associates. He is a fellow of the American College of Surgeons and is a member of the Society of Gastrointestinal and Endoscopic Surgeons and American Society of Metabolic and Bariatric Surgery. 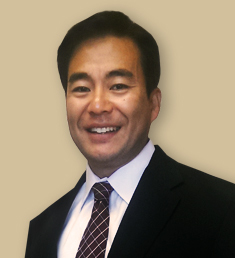 Dr. Shin practices all aspects of general surgery with special interests in minimally invasive weight loss surgery, anti-reflux surgery and other advanced gastrointestinal surgery. 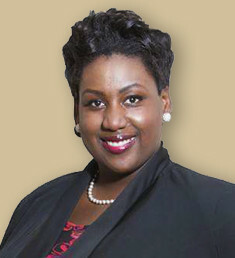 Dr. Jackson-Johnson is a native of rural Helena, Arkansas and a proud alumnus of Xavier University of New Orleans, Louisiana. She graduated with honors from Meharry Medical College and was selected for membership in Alpha Omega Alpha Honor Medical Society. She completed her General Surgery residency at the University of Cincinnati and served as Chief Resident from 2013-2014. During her surgical training, Dr. Jackson-Johnson worked as a research fellow at Childrens Hospital of Los Angeles where she studied physiologic mechanisms of lung injury and repair in transgenic mouse models. She has presented her basic science and clinical research at national meetings and has authored several abstracts and manuscripts. Following completion of surgical residency, Dr. Jackson-Johnson joined the surgical faculty of the University of Cincinnati where she worked closely with the City of Cincinnati Health Department to provide surgical services to medically underserved patient populations. Dr. Jackson-Johnson is a member of the American College of Surgeons and the Society of Black Academic Surgeons. In the fall of 2016, she enthusiastically joined Indiana Surgical Associates. Dr. Jackson-Johnson offers expertise in broad based General Surgery, including advanced laparoscopic procedures. She maintains robust interest in the elimination of health care disparities, recruitment and retention of women and minorities in surgical specialties and the provision of excellent medical student education. Christopher R. Mussman, D.O., M.S. Dr. Mussman earned his Bachelor of Science at The University of Illinois at Urbana-Champaign in 2007 and a Master of Science from Western Illinois University in 2008. He graduated from Midwestern University Chicago College of Osteopathic Medicine in 2012 and completed his general surgery residency through Franciscan St. James Health in 2017. He has been honored with the “Humanism and Excellence in Training Award for Outstanding Resident Role Model” by the Arnold P. Gold Foundation and is the recipient of the 2017 “Outstanding Resident of the Year in Surgery Award” by the American Osteopathic Foundation. Dr. Mussman joined Indiana Surgical Associates in the summer of 2017. He practices all aspects of general surgery, as well as, advanced laparoscopic surgery. Dr. Wischmeyer graduated from Midwestern University Chicago College of Osteopathic Medicine in 2012. 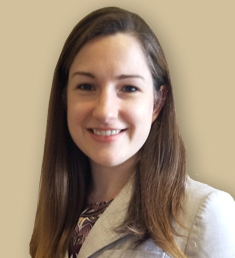 She completed her residency in general surgery at Franciscan St. James Health in 2017. After residency, she went on to Ascension St. Agnes Healthcare in Baltimore, Maryland where she completed a fellowship in bariatric surgery. 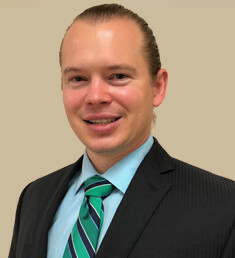 Dr. Wischmeyer joined Indiana Surgical Associates in 2018. She is a member of American College of Osteopathic Surgeons, American Osteopathic Association and American Society of Metabolic and Bariatric Surgery. 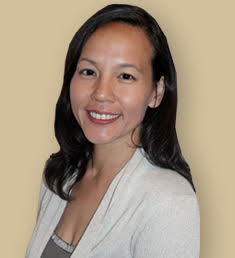 She practices all aspects of general surgery with special interests in advanced laparoscopic and minimally invasive weight loss surgery. Dr. Stoehr graduated from the University of Wisconsin Medical School in 1983. He completed his general surgical residency at University of Illinois-Metropolitan Group Hospitals Residency in General Surgery in 1988, where he served as chief resident 1987–1988. After completing surgical residency, Dr. Stoehr was an attending physician at Advocate Lutheran General Hospital in Park Ridge, IL from 1988–2017, where he was involved in the teaching of medical students and surgical residents. Dr. Stoehr is board certified by the American Board of Surgery. Dr. Stoehr practices broadly in all areas of general surgery and will be working primarily at Franciscan St. Anthony Health in Michigan City. Areas of special interest include breast surgery and endocrine surgery along with minimally invasive surgery. Dr. Logan graduated from Northwestern University Feinberg School of Medicine and attended the University of Cincinnati for her General Surgery training. She completed a research fellowship in Surgical Oncology where she received first place from the American College of Surgeons Commission on Cancer for her research in pancreatic cancer. During her surgical training, she was awarded the Golden Humanism Award and selected for the Alpha Omega Alpha Society Membership. Upon completion of her training in 2010 she joined the faculty of the University of Cincinnati as an Assistant Professor of Surgery and served as the Associate Program Director for the residency training program until joining Indiana Surgical Associates in 2018. Dr. Logan is passionate about global healthcare disparities and developed a partnership with Mzuzu Central Hospital in Malawi, Africa in 2015 and continues to serve as Director of this program. Dr. Logan practices all aspects of general surgery with a special interest in advanced laparoscopic and GI surgery, including antireflux and esophageal motility disorders.